THIS IS A FREE PATTERN! Join our Facebook group to download it. Poppies are such beautiful flowers! 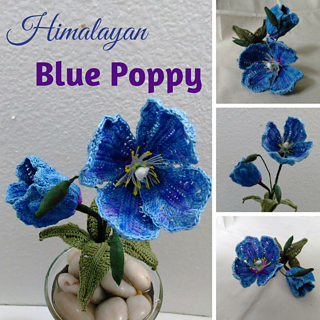 This Himalayan Poppy is one of a kind and has a special meaning attached to it. 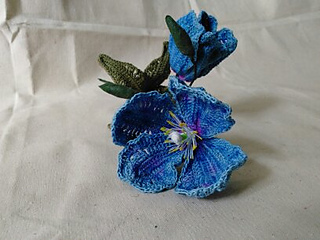 As the red poppies has a special connection to soldiers in war, so does this blue beauty. 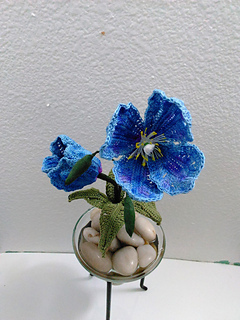 The Himalayan Blue Poppy serves as a rememberance for those animals that died during wartime. 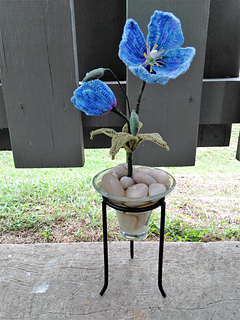 The Animals Remembered Association uses the blue poppy as part of their logo… to them It captures the imagination and never fails to let you down once you start trying to grow it yourself!​​ Interestingly, there moto is ‘To keep trying until we truly can make a difference’! 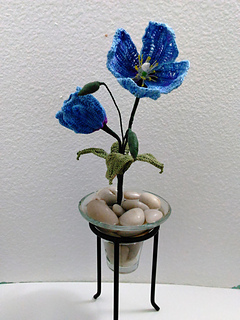 I am honored to be able to share this poppy as a free pattern! I hope you enjoy it! THERE’S ALSO A GIVEAWAY… SHARE YOUR PATTERN UNDER THIS LISTING FOR YOUR CHANCE TO WIN!!!! !